Moving between Nepal and America, this blend of memoir and journalism reminds us that “family and home can be every bit as mysterious as a foreign land” (Booklist). In a circular valley beneath the looming peaks of the Himalaya lies Kathmandu, Nepal. It’s a city of shimmering prayer flags, sacred cows, lavish festivals, and violent political turbulence—and a world that journalist Jeff Greenwald has come to call home. Snake Lake unfolds during 1990’s dramatic “people power” uprising against Nepal’s long-entrenched monarchy. The story follows Greenwald as he wins the friendship of a high lama who reveals the pillars of Tibetan Buddhism; embarks on a passionate romance with a spunky but curiously unlucky news photographer; and discovers what democracy means to rural Nepali citizens—all while covering the revolution for a major American newspaper. Meanwhile, back in the United States, Greenwald’s brilliant but troubled younger brother descends into a deepening depression. The author is forced to choose between witnessing Nepal’s long-overdue revolution and reconnecting with an alienated sibling in desperate need of help. 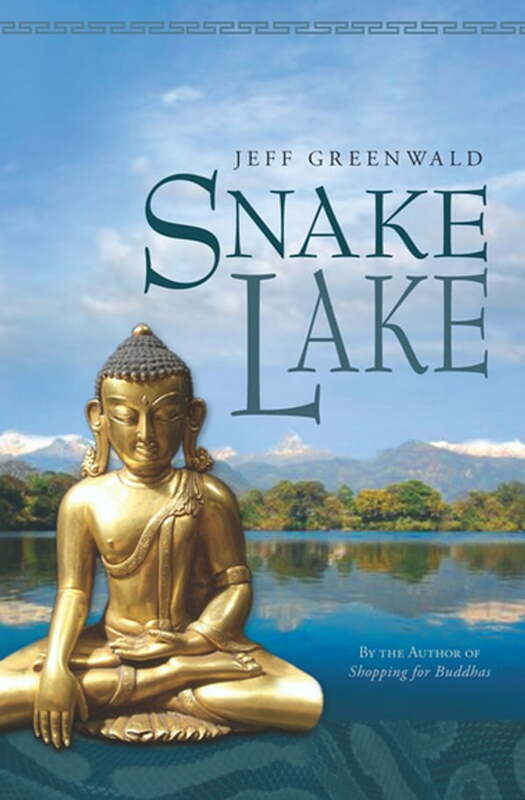 Focused on the life-changing events that unfolded during one calamitous spring, Snake Lake weaves a vivid tapestry of Buddhism, revolution, and the often serpentine paths to personal liberation.